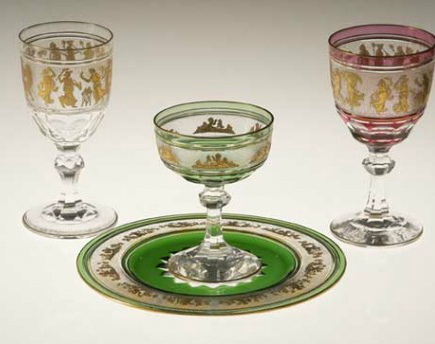 Our antiques glass collections span the continents with both American and Continental, blown glass cut crystal and elaborate Wheel Engraved designs. Most pieces are circa 1880-1920s. 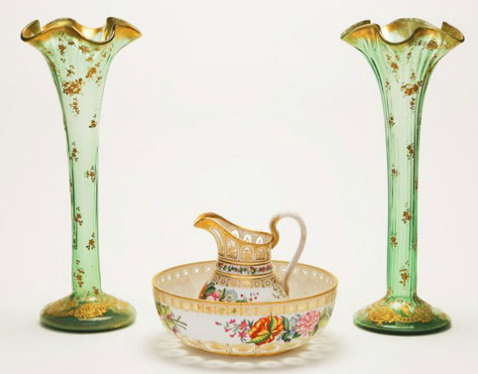 We are world renown for stocking Moser (Bohemian Glass) which produced elaborate confections with some amazing gold work and hand enameling. 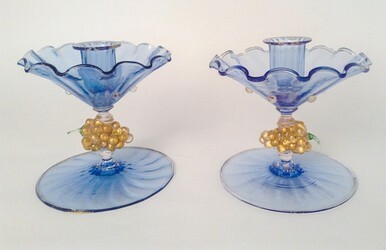 Venetian glass from 1900-1950 is also stocked. 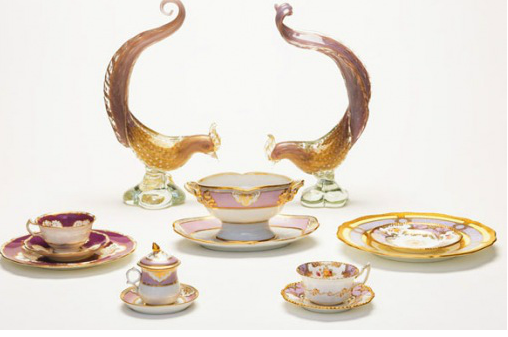 Most of the dolphin and other figural pieces are from the Isle of Murano and the Salviati factory. 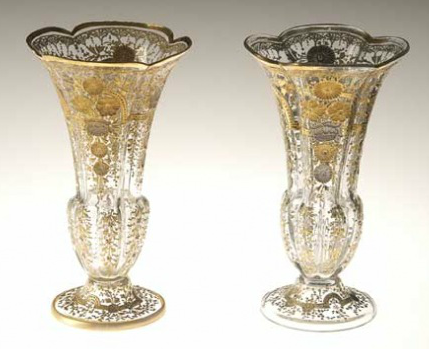 American and English intaglio (floral engraved) is primarily displayed and is the best for mixing and matching. 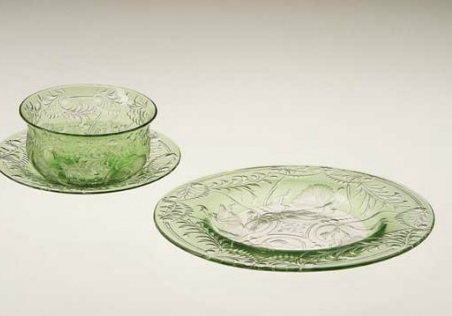 We love to use different sizes, styles, colors and the more glass the better. Check out our store!